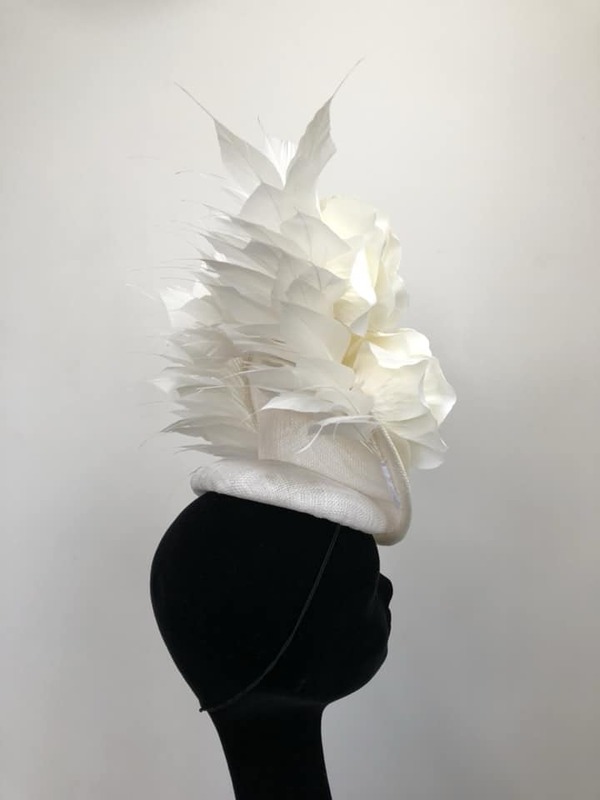 A medium upturned disc, hand blocked in Off White sinamay and placed on a medium size perching cap base, also hand blocked in Off White sinamay. 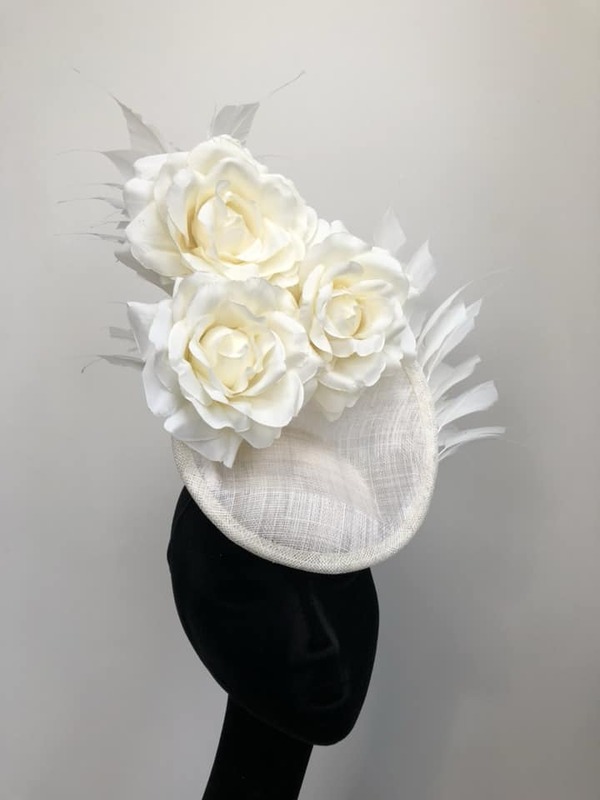 The upturned disc is simply decorated on the front with 3 oversized white roses and it’s finished with two gorgeous curved bouquets of white feathers with white tip at the back. 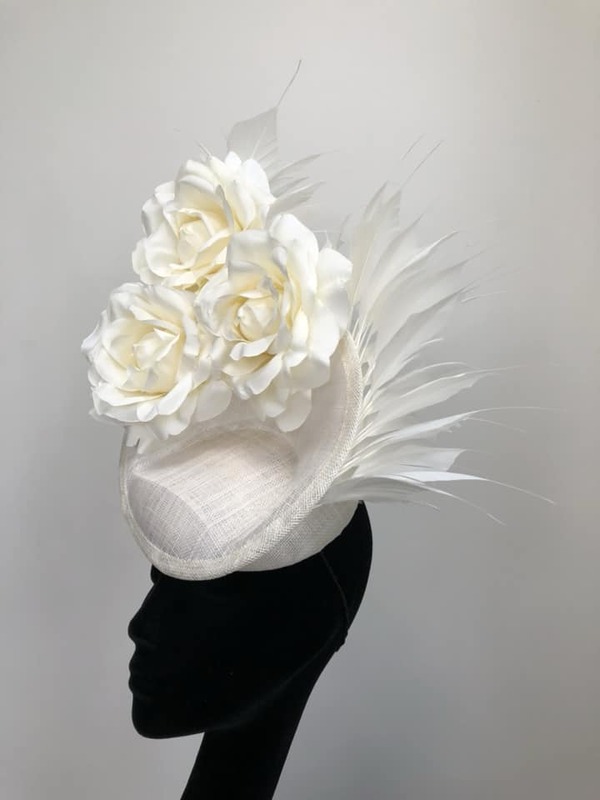 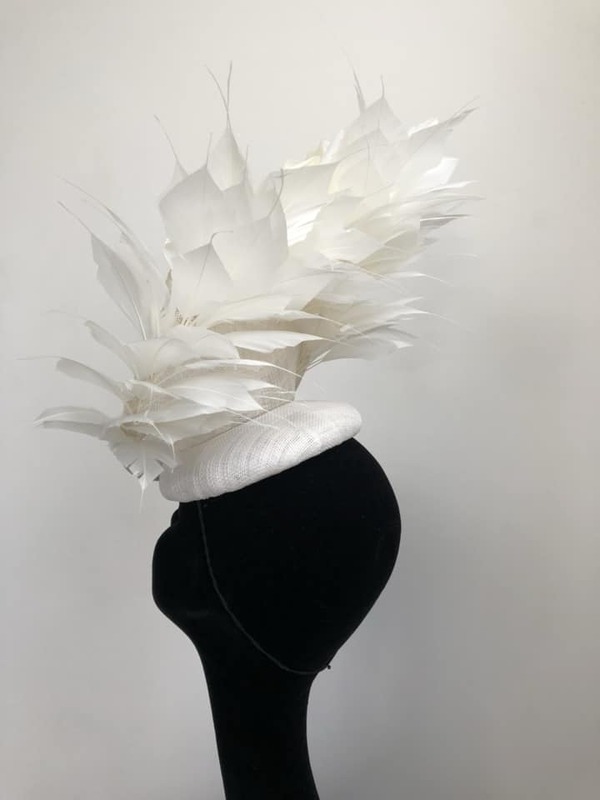 This outstanding headpiece is very light, completely hand sewn, lined with white taffeta and is worn on a millinery elastic available in black, brunette, blonde or grey to match your hair colour. 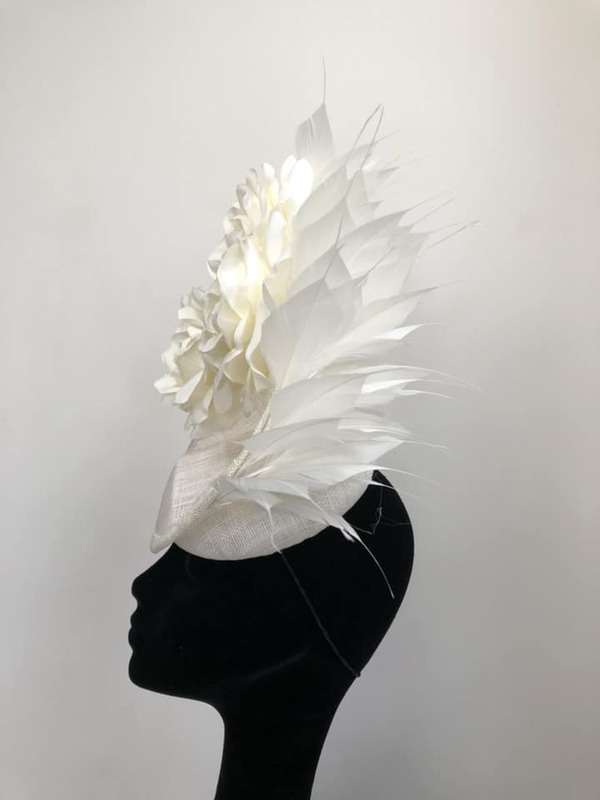 Certainly a very impressive and fabulous headpiece!! 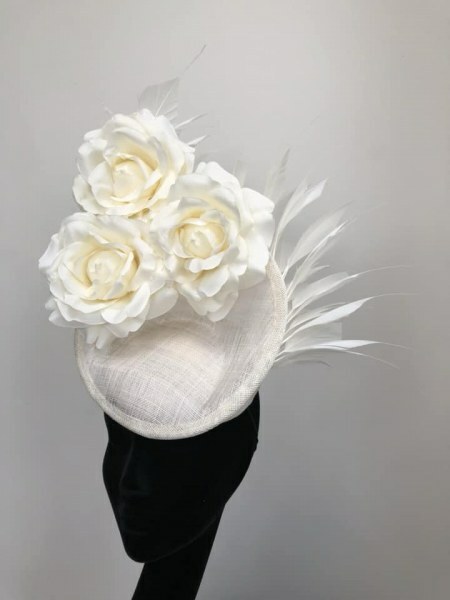 This headpiece can be ordered in different colours and sizes or using different materials and embellishments. 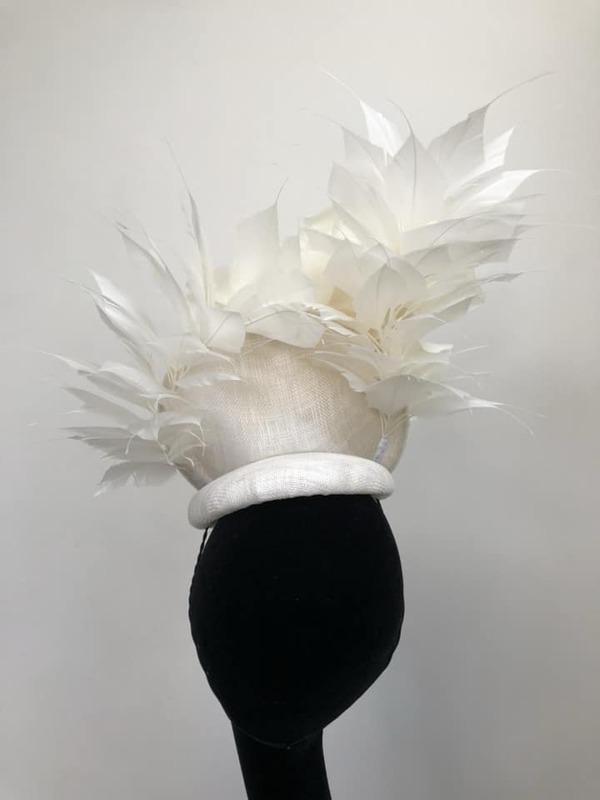 Private Message us for special orders. 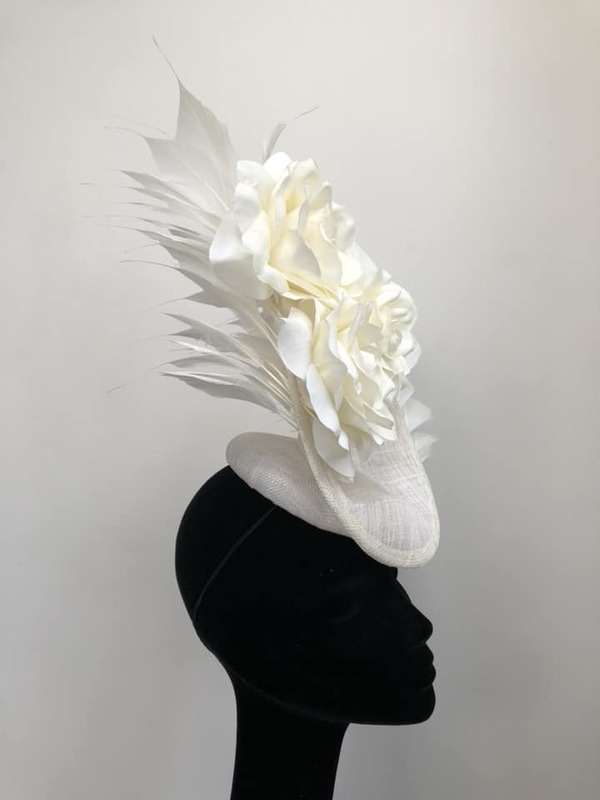 This item is made to order so is non returnable.